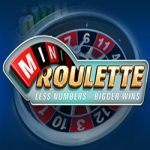 Multi Wheel Roulette is a roulette game that features many roulette wheels, with players having the option of betting on up to six roulette wheels at the same time. You can play this exciting version of roulette at Rizk Casino. 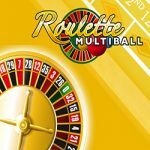 As with the traditional roulette game, players need to predict correctly where they think the ball will come to rest, but this time you need to guess on one or more of the roulette wheels. Each of the six roulette wheels have numbers 1 through to 36, which are alternately coloured red and black, just like a normal roulette game and the number 0 is green. Click on a chip of your desired value to select it, then hover your mouse over the betting table to see the payout potential, minimum and maximum bet limits for your selected bet and your current bet amount on that position. Place your bet on the betting table by clicking on your chosen area of the roulette table. Every click on the table area adds one chip of the selected value to the bet. The minimum and maximum bet limits are based on your VIP level. If you place a bet that is below the minimum limit, you will receive a message regarding an insufficient bet. Click the limits sign on the pay table for more information and to increase your maximum bets. You can place simultaneous chips on the table, to bet more if you wish to do so. All six roulette wheels are active in every game, but you can choose to deactivate up to five wheels if you only want to bet on one table. Remember that at least one roulette wheel has to be active to play a game round. Hitting the double button will double the bets placed on the table. Once your bets are placed, you can start the game by clicking the spin button. If the ball lands on a position you have bet on, then you will be credited instantly. The clear button will remove your bets and you have the option of using the auto-pay feature, this allows you to play up to 10 games one after the other in quick succession. You can choose to save up to four sets of bets as your favourites, you will be able to place these on the table with just one click of a button. If you wish to save a bet, place any number of betting chips on your desired section of the betting table, then click the favourite bets button and then the save button. Multi Wheel Roulette is an ideal game to try out double-up type roulette systems. As you can activate and deactivate several wheels, you can play through a system quickly to its conclusion. Play online at Rizk Casino and receive a generous new player sign-up bonus. Similar to playing several electronic roulette tables in casinos. Very good for trying the Martingale roulette system.